I can’t tell you how excited I am about this post! 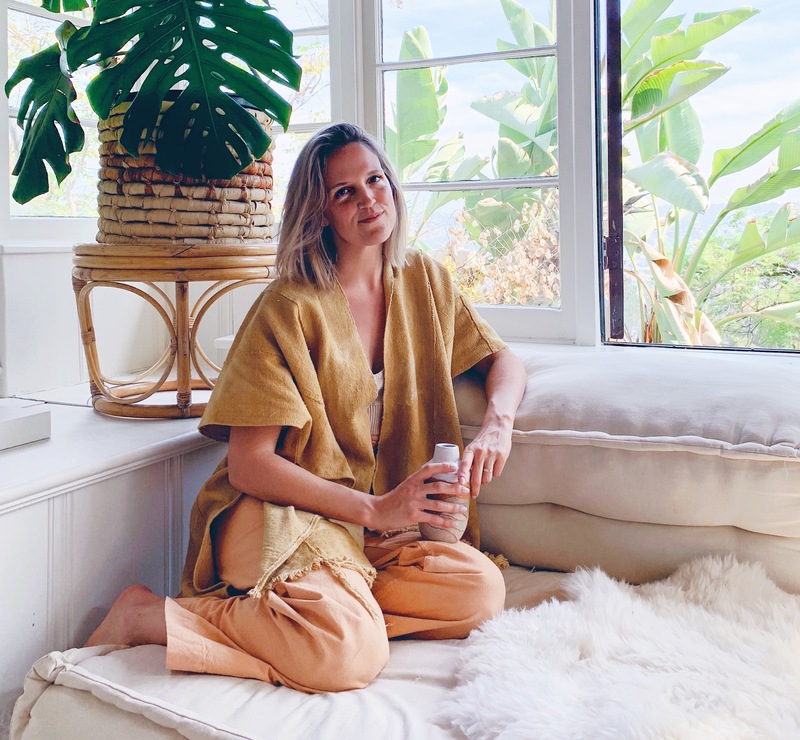 I get countless questions about matcha (how to make it, what brand to buy, what adaptogens to add to it, etc., etc.) everyday over on Instagram, and now I can finally point to the WU HAUS GUIDE TO MATCHA as the complete source to (hopefully) answering all your questions. So let’s dive right in! Sustained Energy + Enhanced Calm: Amino acid L-Theanine and caffeine work together to produce a sustained and focused energy. L-Theanine is a calm-inducing and non-dietary amino acid found almost exclusively in teas from the Camellia sinensis plant. 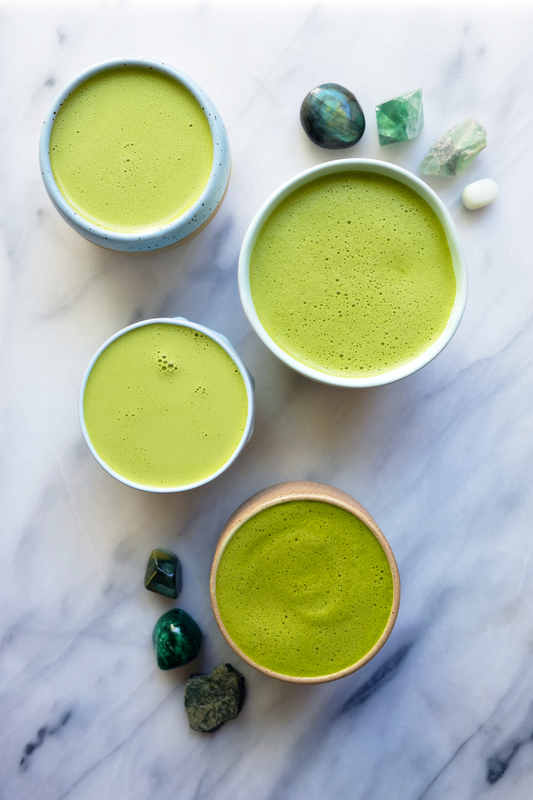 Unlike traditional green tea that is steeped in water, matcha powder includes the entire ground Camellia sinensis leaf providing 100% of the leaf’s nutritional benefits to the drinker. A serving of matcha offers between 30-70 mg of caffeine while coffee offers anywhere between 95-144 mg depending on how you prepare it. Unlike coffee, matcha supplies a healthy dose of caffeine without causing you to crash a couple hours later. Mental Clarity: L-Theanine promotes both natural relaxation while simultaneously heightening mental clarity. It is also known to reduce anxiety levels and enhance your mood. Packed with Antioxidants: Matcha has very high levels of antioxidants in the form of polyphenols, catechins and flavonoids. These power houses protect you from harmful free radicals – the molecules responsible for aging, tissue damage, cancer and some inflammatory diseases. Immune Boosting: Matcha boosts the body’s natural immune defense. The antioxidants in matcha are a key component of helping your body fight diseases and infections. Just one cup of matcha has the equivalent antioxidants of 10 cups of regular green tea. Matcha also contains polyphenols, catechins and epigallocatechin gallate (EGCG), which help boost immunity and promote overall wellbeing. Additionally, matcha provides the body with potassium, vitamins A & C, calcium and iron. Of course, I think it goes without saying, it’s always preferable to use organic matcha. I say that, yet I don’t use organic matcha. I’ve done tastings at Mizuba (where I source most of my matcha), and the fact of the matter is I prefer the taste of some of their non-organics to their organics. Mizuba is about to release a new organic variety called Yorokobi that I’m SO thrilled about, which will get me to finally switch over to organic (yay!). There is much debate over whether or not you need to spend the extra money and buy ceremonial grade or if you’re okay to drink culinary. There is a multi-faceted question. My rule of thumb is that if you are making a matcha americano (with just water + matcha, no milk or added ingredients), use the highest quality ceremonial. 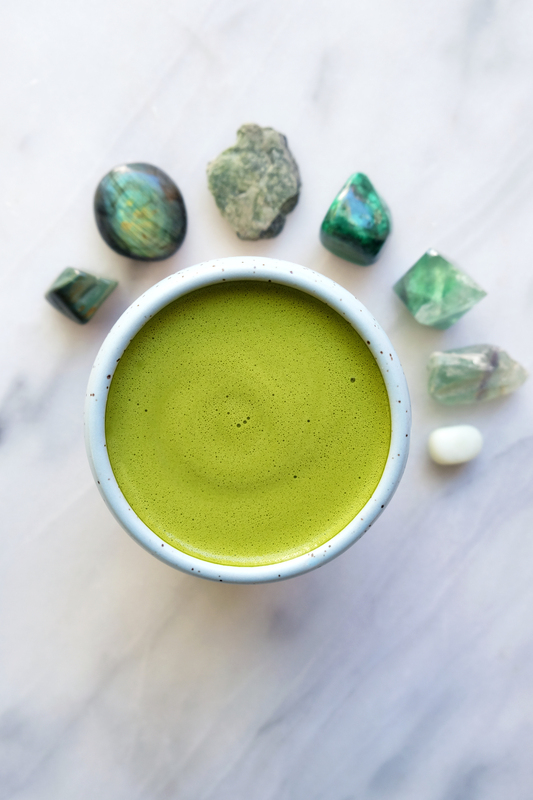 If you are making a morning potion with adaptogens or a simple matcha latte, you can probably use a culinary grade. That being said, I use Mizuba’s Culinary, which is A LOT higher quality than many other culinary matchas out there. So, I would recommend purchasing your matcha from a reputable brand and doing a taste test if possible. Especially if you are new to drinking matcha, you don’t necessarily need to jump right into spending $55 on a 40g tin. You can work up to that as your taste for matcha changes and becomes more refined. Bottom Line: Only buy matcha that comes from Japan. Products from other places that claim to be matcha should not be trusted. Pro Tip: To preserve flavor and freshness, always store your matcha in the refrigerator after opening. Mizuba Tea Co.: Mizuba is definitely one of my favorite matcha brands. What I love about Mizuba is that every single variety of matcha they offer tastes delicious and is of the best quality. Whereas some brands of matcha use lower quality for their culinary, I use Mizuba’s very, very high quality Culinary matcha for my morning potion everyday. 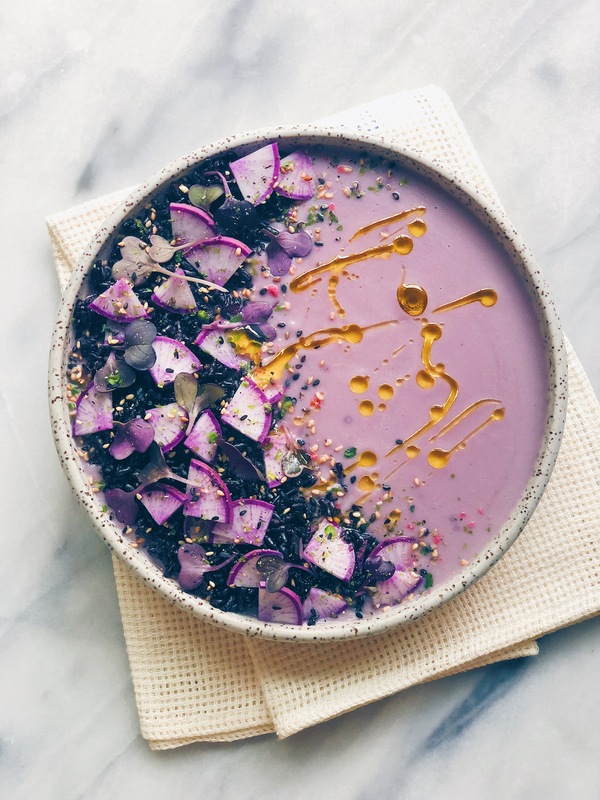 The main difference between their Culinary and Ceremonial is that the Culinary is a coarser grind, making it stronger in flavor so that it can be tasted through whatever you mix it with (milk, desserts, smoothies, etc.). I also love their ceremonial Kokoro and everyday matcha, Daily, for my Matcha Americanos. I love that this brand is woman-owned and local to Portland. Lauren, Mizuba’s owner, works with a single source farm outside of Uji, Japan. She is in the process of adding another AMAZING organic matcha (the 3rd to her line) called Yorokobi that should be ready soon. I’ll keep you posted on that! House of Matcha: I love House of Matcha’s line (and their amazing branding). Both their Ceremony and Cold Brew are delicious and high quality. The Cold Brew is my go-to for summer, as it dissolves right into cold water. Ippodo: A luxury line of matcha that feels completely authentic and traditional with its roots in Kyoto. Definitely a bit on the spendier side, but absolutely delicious and worth the splurge. Chasen (bamboo whisk): Essential for making the perfect Matcha Americano. Also great for use when traveling. 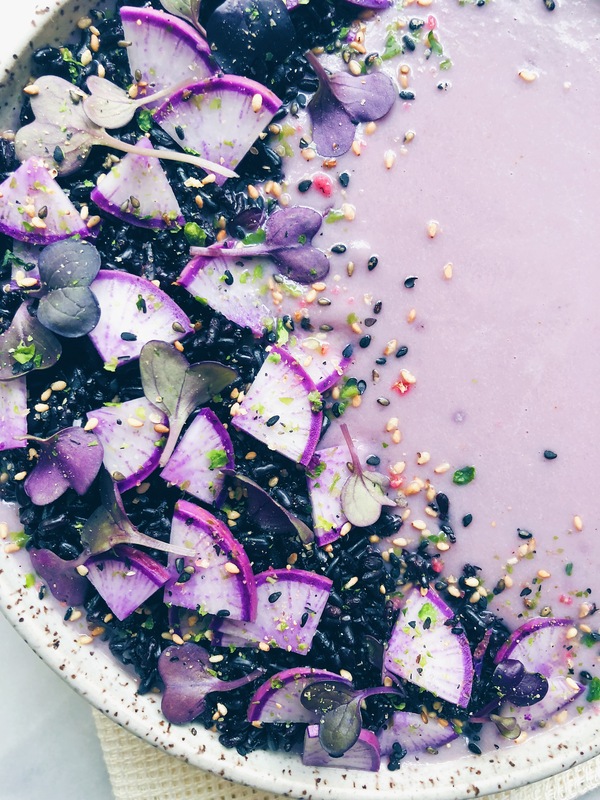 You can mix your adaptogens in with your matcha and make a paste as you would for a Matcha Americano (recipe below) if you don’t have access to a blender on the road. Chashaku (bamboo scoop) and/or Measuring Spoons: I usually use the chashaku when making a Matcha Americano to stick with the traditional way of preparing matcha. I use measuring spoons when making potions. 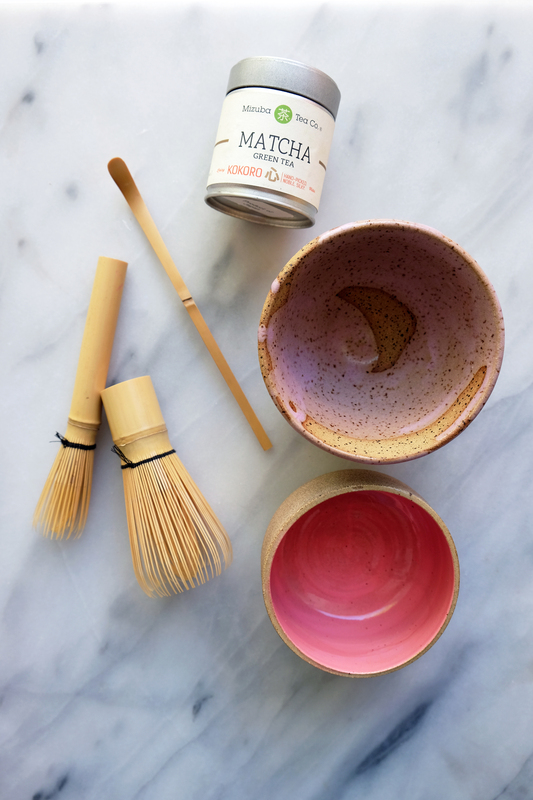 Chawan (tea bowl): Drinking matcha out of a plain mug would simply not be as lovely of an experience as it is drinking from a beautiful handmade chawan. Some of my favorites come from: Brian Giniewski, Helen Levi, Earth and Element, Wolf Ceremics and Romy Northover. High-Speed Blender: Really makes things quick and easy for potion making. I’m currently using the Breville Boss. Battery-Powered Matcha Whisk (great for travel! ): I recently purchased this whisk. It’s amazing for traveling with and even froths the liquid! Kettle and/or Small Saucepan: Pretty essential for heating liquids. I use this kettle and this saucepan. Coconut butter: This is a key ingredient if you aren’t using milk in your potion. It adds the creaminess that milk would otherwise add. If you want your drink extra, extra creamy, use milk + coconut butter. Coconut butter also makes the potion ultra frothy, which is an added bonus. I like using it as an alternative to milk, as it is a pure ingredient. Unless you’re making your own nut/seed milks, there are so many unnecessary gums and fillers in the prepackaged stuff. I love CAP Beauty Coconut Butters in 1-gallon and 16 oz sizes. Collagen: Not absolutely necessary, but contributes to a lovely froth while adding some protein to your potion. Collagen is also great for gut health, skin, hair and nails. I use Vital Proteins Collagen Peptides or Marine Collagen, but Great Lakes is another great, more affordable option. 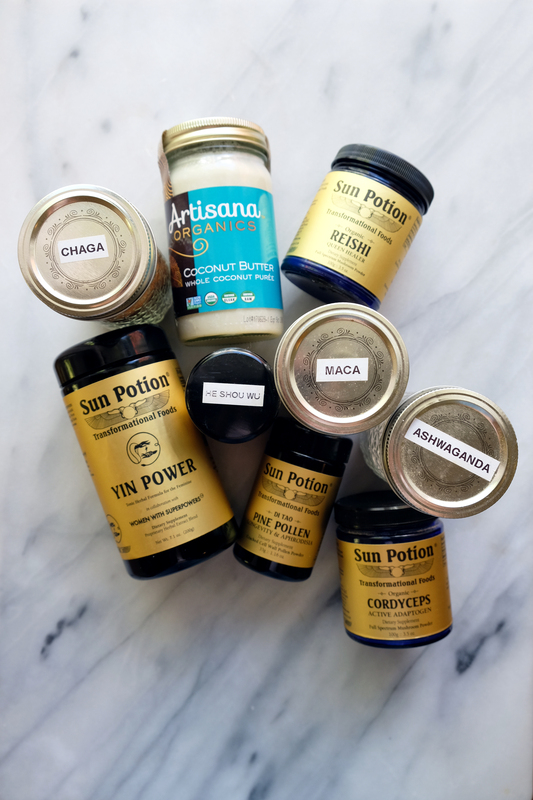 Adaptogens: The adaptogens you choose for your potions are entirely up to you. Based on what benefits you are hoping to reap, there are SO many options. As a general rule of thumb, I don’t usually put more than 3-4 adaptogens in each potion. I’d also advise to keep portion size small. You only really need a 1/2 teaspoon of each adaptogen. In the recipes below, there are a few suggestions, but I encourage you to do your research and see which adaptogens call to you. In terms of brands, I recommend Sun Potion and Mountain Rose Herbs. I’ll be posting a Wu Haus Guide to Adaptogens very soon, so stayed tuned for that! MCT Oil/Brain Octane: This is great to add if you need an extra pep in your step! With the addition of MCT oil or Brain Octane, you basically have a Bulletproof matcha. KAPOW! If you’ve never used either, I would start with a teaspoon or less. This is really powerful stuff. 1.) Scoop 2 chashaku scoops into your tea bowl. 2.) Add a very small splash of hot water (160°-175°) to the tea bowl with matcha. Using your chasen (whisk, make a smooth paste making sure to break up all matcha clumps. 3.) Add an additional 4-6 ounces of hot water to your tea bowl. Using the chasen, whisk in an ‘M’ or ‘W’ motion very quickly until frothy. Drink immediately. 1.) Bring water to a boil (heat milk in a saucepan on the stove, if using) in a kettle. Let cool a bit (160°-175°) before pouring into a high-speed blender. Add all other ingredients to the blender, and blend on high for 1-2 minutes. Pour into tea bowl, and enjoy! 1.) Bring water to a boil in a kettle. Let cool a bit (160°-175°) before pouring into a high-speed blender. Add all other ingredients to the blender, and blend on high for 1-2 minutes. Pour into tea bowl, and enjoy!